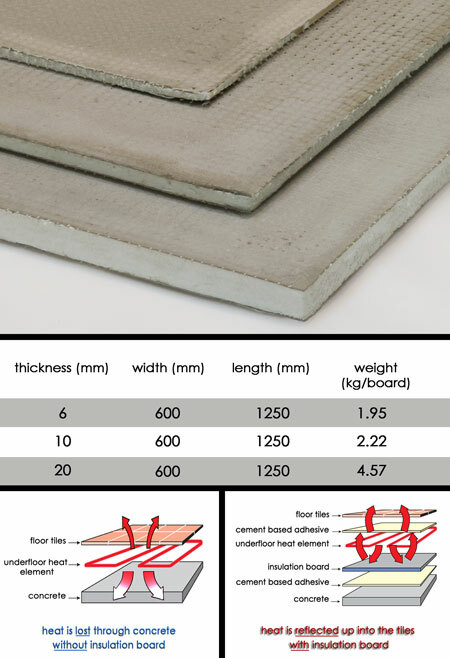 Our cement faced insulation boards are easily stuck down to timber and concrete subfloor using a flexible tile adhesive. These energy saving boards greatly improve the efficiency of the electric underfloor heating. * Makes the heating more efficient. * 6mm, 10mm and 20mm thickness. * Insulation 1250mm x 600mm.